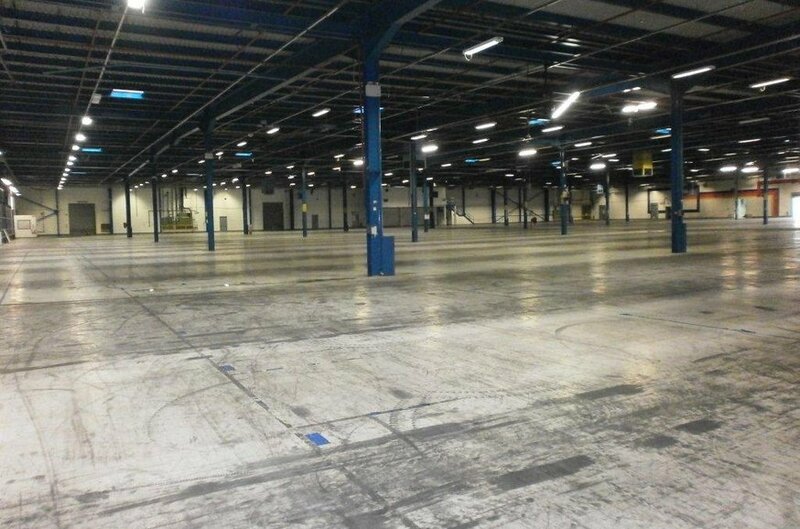 Large Warehouse of approx. 10,468 and det former factory retail unit of approx. 500 sq. m.
Profile to the M1 Motorway. 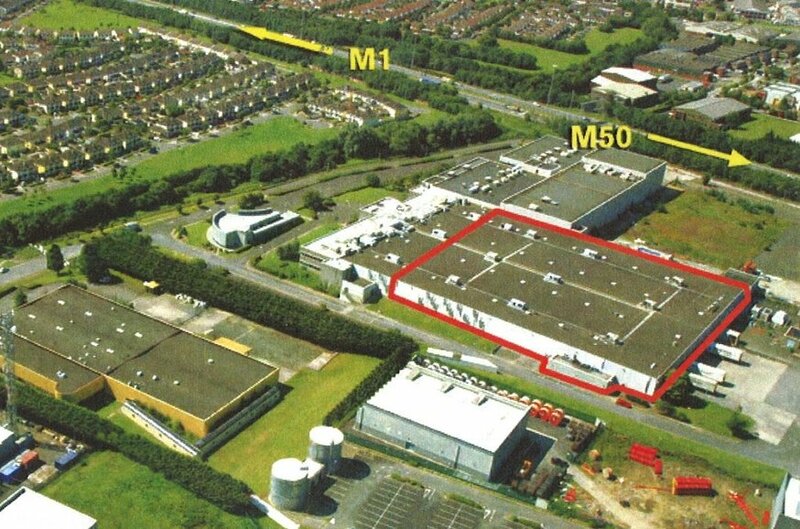 Selection of sites available also for design & build opportunites from 1,000 sq.m. Clonshaugh Industrial Estate is a 100 hectare estate which occupies a strategic position on the east side of the M1 Motorway approximately 6.4 kilometres north of Dublin city centre and 3 kilometres south of Dublin Airport.The estate is located on the junction of Clonshaugh Road and Oscar Traynor Road within 1.5 kilometres of the M50 / M1 interchange. This provides excellent motorway access to all the main arterial routes from Dublin and using Dublin Port tunnel. 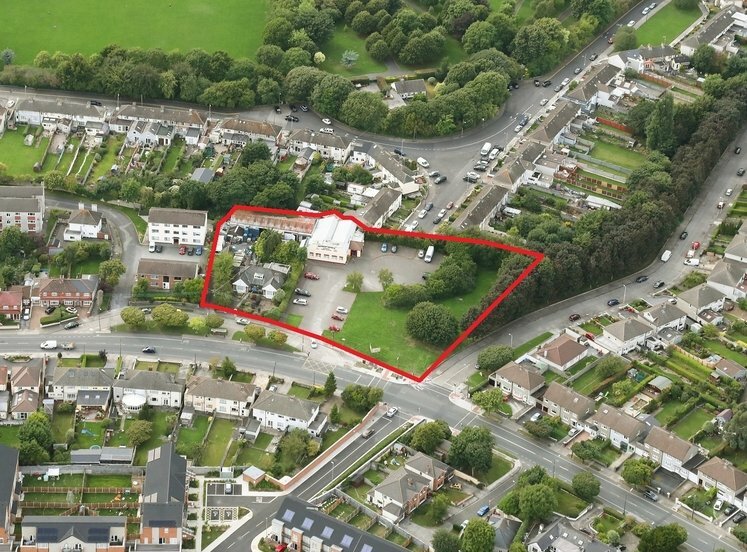 The subject property extends to a total gross external floor area of approximately 10,468 sq. m. (112,679 sq. 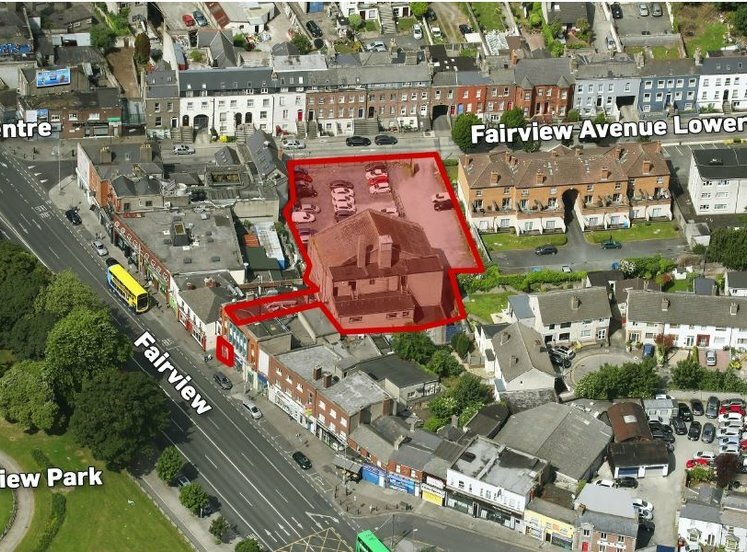 ft.) and lies on a site area of approximately 7.3 hectares. 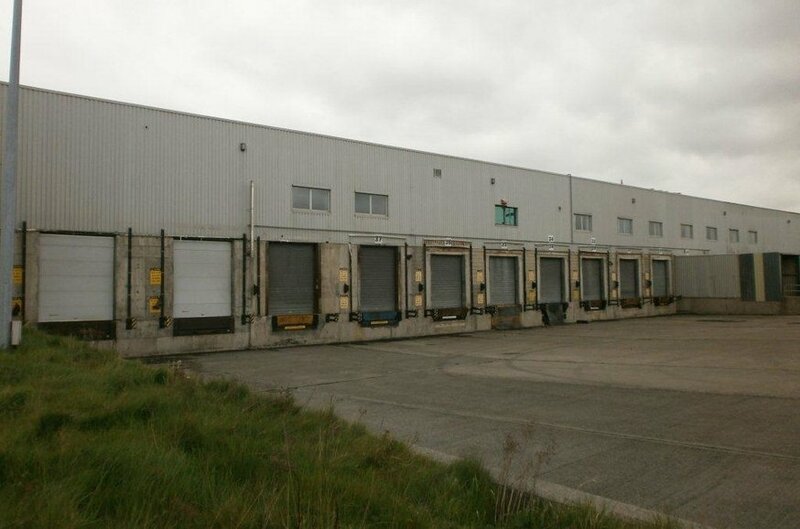 It occupies a high profile position benefiting from substantial frontage onto the M1 motorway. The industrial/warehosue area extends to approximately 9,842 sq. m., this section of facility is of steel frame construction with block walls to the elevations, some mounted by press steel cladding. It is covered with a flat press steel roof and has a clear internal height of approximately 6 metres. It also has excellent loading facilities comprising ten dock levellers and one standard loading door with a substantial marshalling yard. 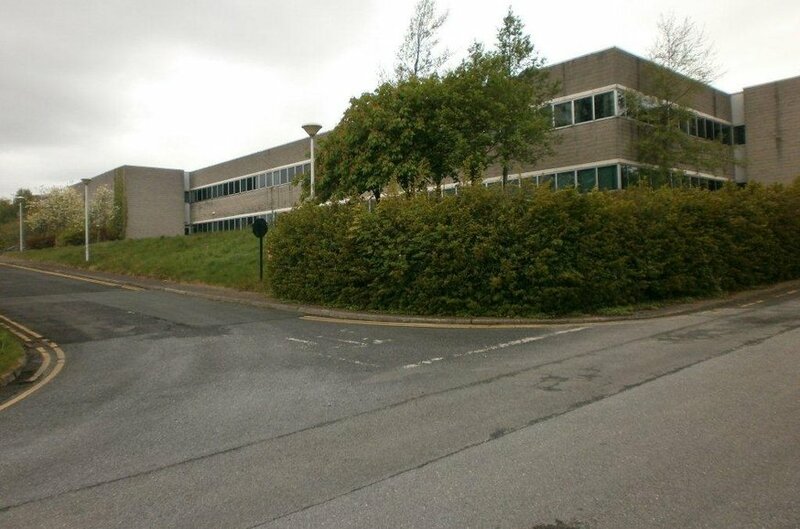 The office and ancillary accomodation extends to approximately 626 Sqm and is located to the front of the property. The office accommodation can be fitted out in accordance with required specification. 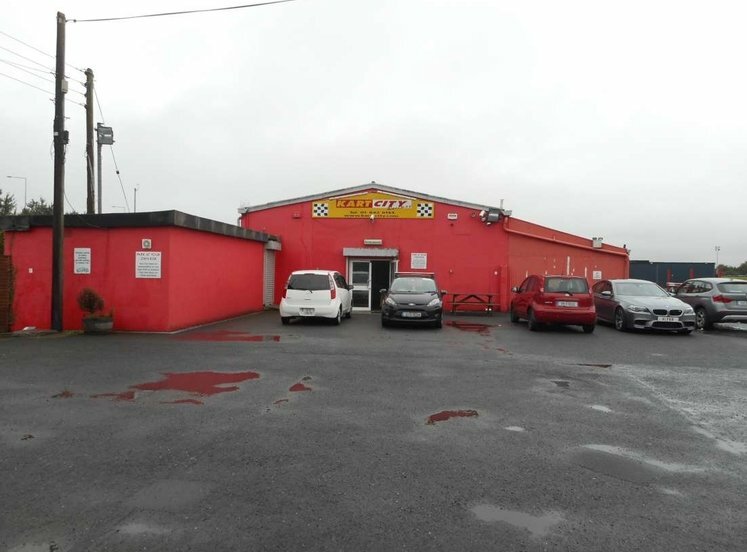 The property has substantial car parking facilities to the front with a large secured yard to the side. 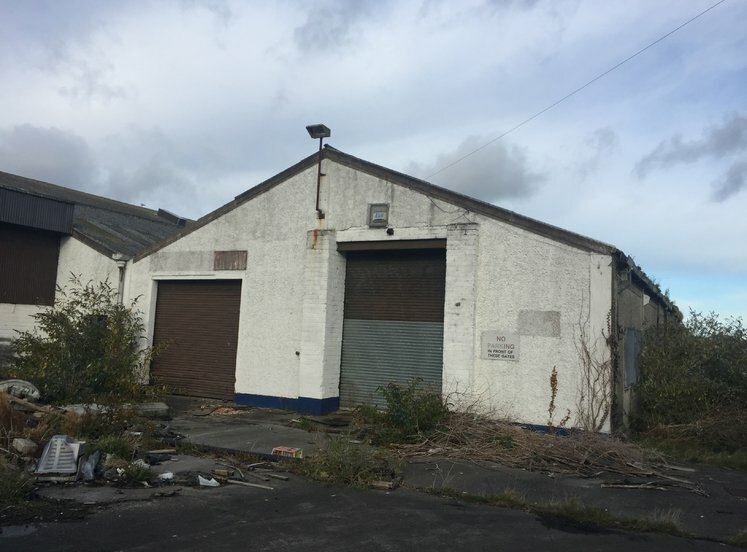 There is a single storey stand alone building to the front of the facility extending to approximately 471 sq. m. (5,070 sq. ft.). This is a showcase building with a high quality architectural profile. It is of steel frame construction covered with a metal deck roof with architectural cladding and block work and aluminium curtain glazing to the elevations. The building is largely open plan with additional offices, stores and toilet facilities located to the rear.